Do you struggle to get your meditation practice off the ground? If you’re like many people, meditation can be hard to start. And even when you do get started, it’s often difficult to find a groove or sweet spot. When you start, meditation isn’t like lifting weights, running, or learning guitar, where you often see quick results. It takes time to reap the calming and clarifying benefits of your practice. Can you relate? A lot of people give up because of this. Meditation just feels too foreign. In fact, there are studies which show that people would rather electrocute themselves than be alone with their own thoughts. Really? Yes, really. I admit I was surprised when I read that. But then I realized that before I started meditating, I also struggled with the art of being alone. And it kind of makes sense to me when I think about it. Relative to our forebears, we experience a degree of stimulation that’s unprecedented. That makes it hard to sit still and silent in the not-so-calming presence of our hyperactive minds. And so it’s natural for you to conclude that because your mind is always buzzing, you’re no good at meditation. And then you lose steam. That’s too bad. Because it really doesn’t need to be like that, and I’ll explain why below. But first, to clarify this point a little further, here is a helpful quote from Deepak Chopra on the nature of your mind and the process of meditation. When you first feel inspired to meditate, it’s often coming from a wholesome place inside. It’s the type of impulse you want to fan into a burning flame. Why? Because regular meditation practice enables you to dive to the still and silent source of your own mind. And the truth is, most of us rarely experience the deeper currents of the mind. Because we identify with the active and fast-moving surface, we lose heart and give up. If you understand why you feel like quitting, you can reverse that momentum. And more importantly, you can start to identify with the deeper source of who you are. Here are my top 5 reasons why I think people fail at meditation. When you start meditating, it’s not exactly clear what you should be doing. If you don’t have a guide or teacher coaching you, it can get confusing very quickly. You see, meditation involves being alone with yourself. You learn how to be easy with the movement of your own mind and thoughts. Most of us just aren’t accustomed to doing nothing while our mind buzzes away. You see, meditation doesn’t feel like anything. You can experience a million different things when meditating. That’s not the point. The point is to be still and relaxed in the face of it all. Almost every new meditator I talk to feels that if their mind hasn’t gone quiet, they’ve failed. This is a huge mistake. Your mind is like a machine that spits out thoughts like confetti at a ticker tape parade. It really doesn’t matter what your mind is doing. I know, that’s one of the hardest things to get used to, but when you do, your practice will shift into another gear. Yes, your mind is going to wander. Again and again and again. The beautiful thing about it, is that meditation is really the simple act of bring your attention back to your object of focused meditation. Sometimes you might do that 1,000 times in one session. 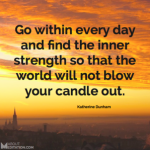 But that action and choice, to bring your mind back, is how you strengthen your meditation muscles. What is that muscle? It’s your very own attention. So don’t fret. If you find yourself continually corralling your attention, then you deserve congratulations. 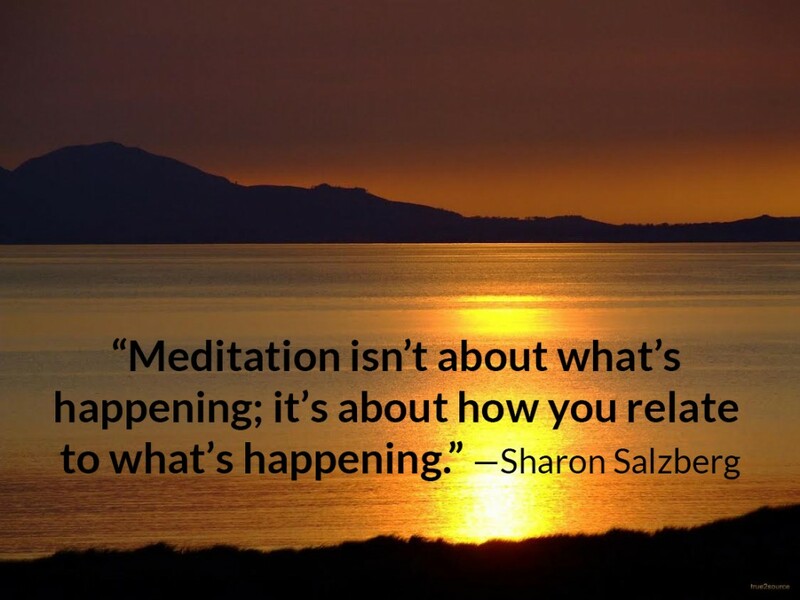 Because that’s the essence of meditation. And to use Deepak Chopra’s metaphor, this process of training your attention is how you slowly but surely realize and experience the deeper currents of your being. 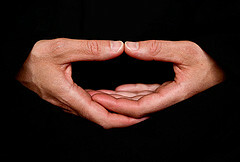 With practice, you will start to experience a wonderful sense of calm focus and inner silence. One of the most important things you can do to be successful is just to keep at it. Keep practicing. You need to create a meditation habit. Like anything, it’s the regular and consistent practice that helps you develop when the inspiration fades. And I have to tell you, you will experience times when you’re not inspired. That’s when you need to keep your eyes fixed on the horizon and recognize that you’re in it for the long game. Because that’s where you’re going to see the big dividends from meditation. If you stay attentive to these five reasons why most people fail at meditation, you’ll leap right over them. Understanding how this all works and what to expect is important. It can mean the difference between success and failure. And I feel confident that if you’re reading this post, then you’re the kind of person who wants to take it all the way and master the basics of meditation and much more. To set yourself up for success in meditation, try our free How To Meditate Mini Course. 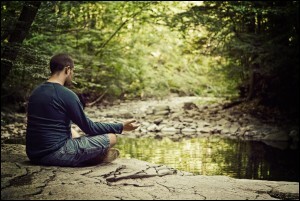 The post 5 Reasons You Might Fail At Meditation appeared first on About Meditation.